Success Story!! 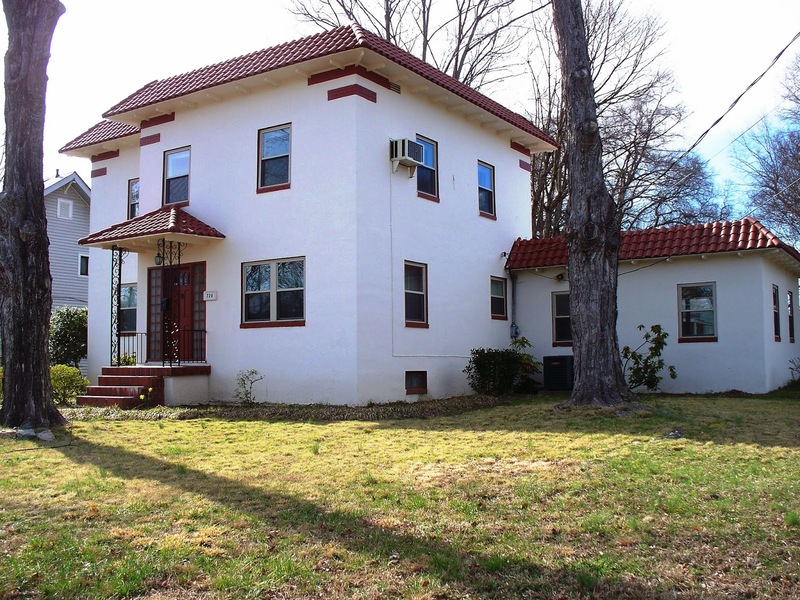 629 Maupin Avenue in Fulton Heights ~ SOLD by Greg Rapp! Congratulations are in order for first-time home buyers Ashley & Chris ~ who worked with Greg Rapp, Realtor® with Wallace Realty ~ to purchase their beautiful and totally charming new home in the Fulton Heights neighborhood. 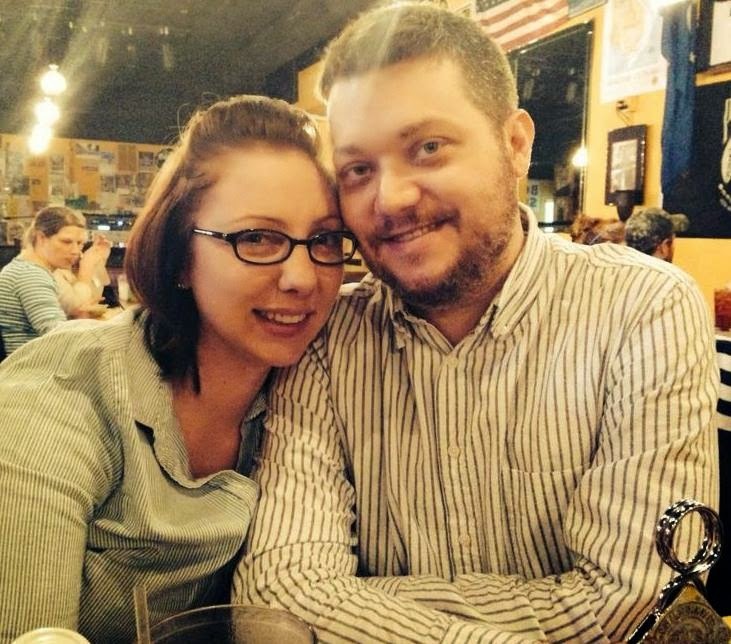 Greg worked with Ashley and Chris for several months, which might sound long, but together they viewed properties until they found the perfect match. 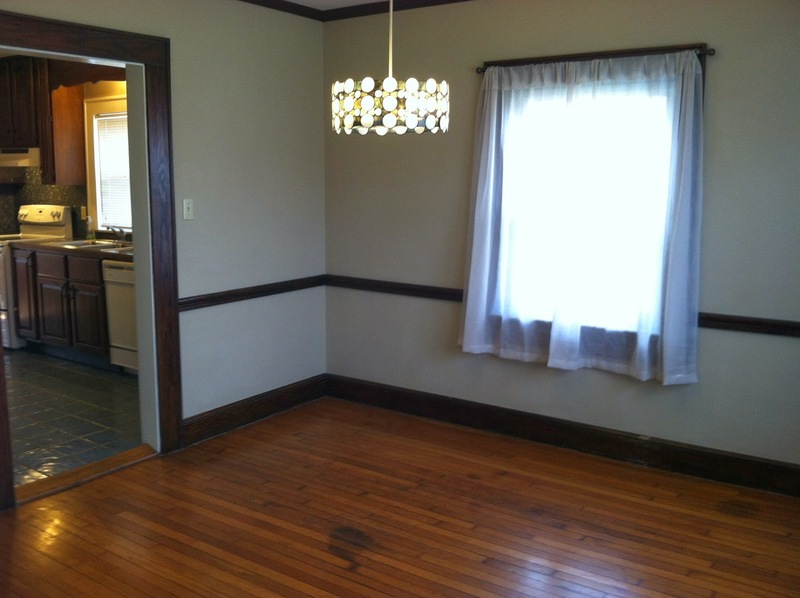 The circa 1920's Arts & Crafts Bungalow at 629 Maupin Avenue, Salisbury NC was the winner! Buying a home for the first time can prove to be a challenging task. First-time buyers often don't know the meaning of real estate and mortgage terms. The amount of paperwork needed to close a mortgage loan sometimes overwhelms them. And the amount of money they need to put together to purchase a home can be intimidating. Working with an experienced Realtor® like Greg Rapp (704-213-6846) who puts your interests FIRST and understands the challenges first-time buyers face was a smart move for Chris and Ashley. • The biggest challenge that most first-time home buyers face is coming up with enough money for a down payment. Most conventional mortgage lenders require first-time buyers to come up with a down payment of 10-20% of the final purchase price. For a $200,000 home, that's $20,000 to $40,000. That's a lot of money for first-time buyers to come up with. First-time buyers taking out an FHA mortgage loan only have to come up with a down payment of 3.5 percent of a home's purchase price. That same $200,000 house, then, would require a down payment of only $7,000. • Mortgage lenders today rely on borrowers' credit scores to determine who gets mortgage money and at what interest rates. These scores, which range from the high 300s to the low 800s, represent how wisely consumers have handled their finances. Consumers who pay their credit-card bills late or miss car payments will have lower scores than do those who pay all their bills on time every month. Credit scores can be a challenge for first-time buyers simply because many of them do not have long, established credit histories, causing scores to be lower. • Mortgage lenders prefer to lend money to borrowers who have worked at the same employer for at least two years. For first-time buyers this can often be a problem: Many first-timers are young professionals who are still building their careers. This may mean that they move from job to job at a quick pace. Fortunately, most mortgage lenders are flexible on the employment issue. Many will overlook a short job history if borrowers can show that they still have a steady source of income that is high enough to comfortably cover their mortgage loan payments. A real plus for Ashley and Chris was to find a home in the very desirable Fulton Heights Neighborhood of Salisbury, North Carolina. This residential district of Salisbury, NC is known for its wide variety of charming historic homes, a very family oriented neighborhood, and its strong and active neighborhood association where the residents work together to improve and maintain a high standard for their quality of living. Ashley and Chris are sure to be very happy, long-term, in their Arts & Crafts bungalow on Maupin Avenue in Fulton Heights! There are many more homes, all sizes and price ranges, in the Fulton Heights Neighborhood and other districts, historic or not, in Salisbury NC. When you are ready to share your success story, contact Greg Rapp at (704) 213-6846 to get the process started! Spanish Mission, Spanish Colonial, and their offshoots, Spanish Eclectic and Spanish Revival, are some of the oldest architectural styles in the country. Celebrating the architecture of Hispanic settlers, Mission Revival style houses usually have arched dormers and roof parapets. Some resemble old Spanish mission churches with bell towers and elaborate arches. The earliest Mission style homes were built in California, USA. The style spread eastward, but most Spanish Mission homes are located in the southwestern states. Thick stucco walls and terracotta tile roofs make these homes particularly suited for warmer climates. The architecture of 18th century Spanish Catholic missions in the American southwest inspired the Mission-Style house design. Revived in the sunbelt states around the turn of the century, Mission-Style quickly caught on across California, Arizona, New Mexico, Texas, and Florida. By the 1920s,architects were combining Mission styling with features from other movements, such as Prairie, Pueblo, and Arts& Crafts. This home at 726 N. Fulton Street, with its stucco walls and terracotta tile roof, actually represents the Spanish Colonial Revival style of architecture. Colonial and mission styles confirm the eclectic's base identity, often referred to as Spanish Colonial Revival. The Spanish Colonial architecture is simpler than the Mission Style, with stucco and terracotta, but with less detail. This fully restored 2-story circa 1946, 1800+ square foot home is a solid stucco-over-brick and masonry, Spanish Colonial Revival home featuring terracotta tile roof and lots of original details such as eave brackets and exterior brick inlay. (Note: This is hard coat masonry stucco and not synthetic water based stucco ~ a huge difference in quality!) 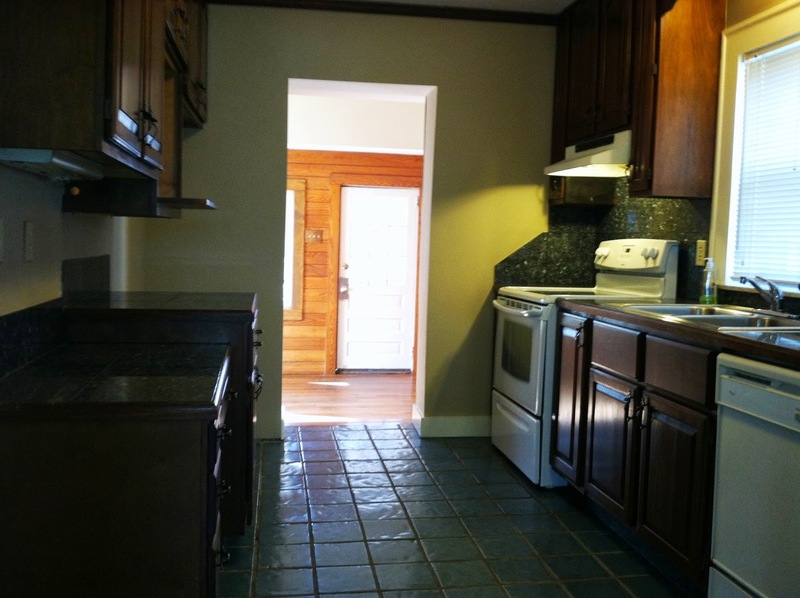 This 3-bedroom, 2-bath home has been freshly repainted inside and out and updated with wonderful tile work within. 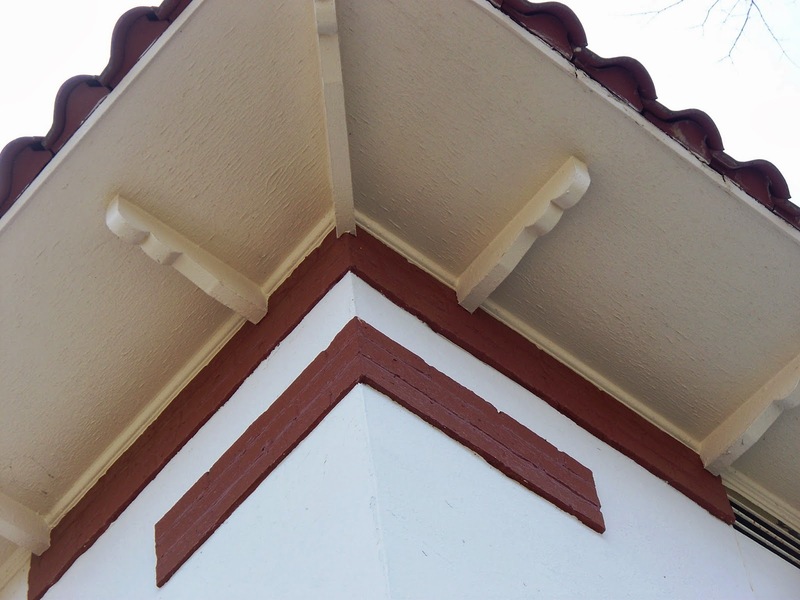 • Stucco’s seamless appearance draws more attention to the home's other details, such as window trim, railings, wooden beams, roofing, etc. • It is one exterior finish option that just never seems to go out of style. Stucco can last over fifty years, depending on your local climate and how well you maintain it. • Stucco consists of cement, lime, and silica applied in several layers over wood or metal lath. Since these layers basically form a concrete shell around a house, a stucco home requires less energy to keep it cool in the summer and warm in the winter. 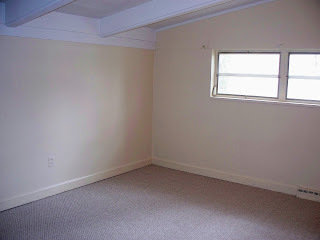 • Stucco can also help to reduce sound transmission. 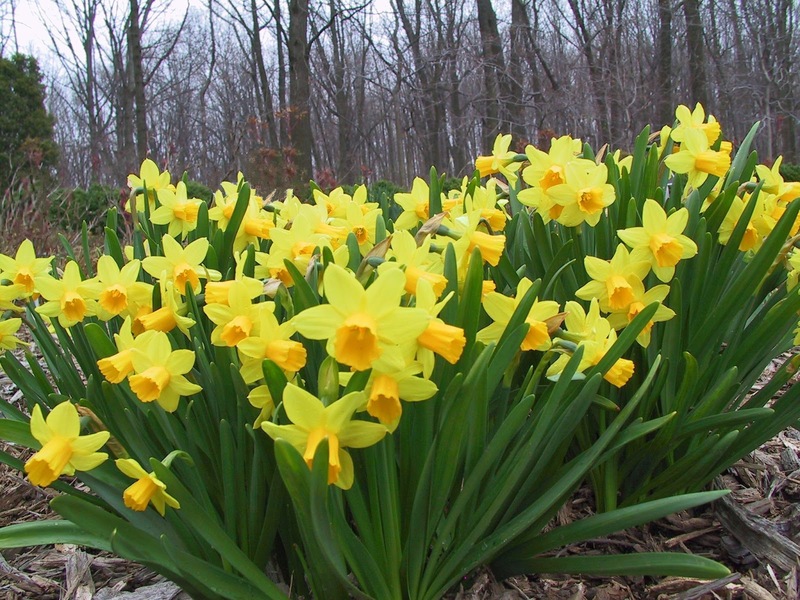 This is a great benefit to anyone living in a crowded neighborhood or across from a freeway interchange. It also is fire retardant, and in some situations, it has saved homes from being consumed by fire. 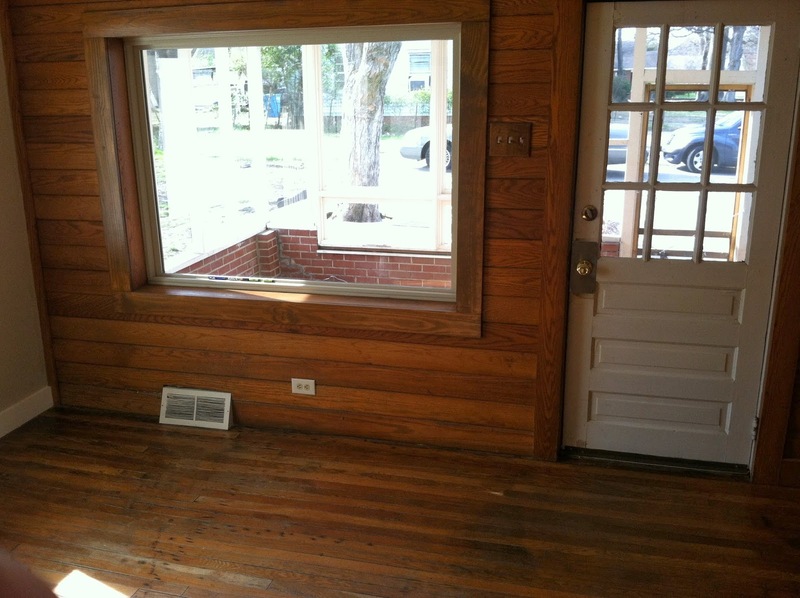 It even resists rot, mildew, and molds. Terracotta roof tiles are among few roofing materials that are fire-resistant. This is especially important if your home has a fireplace or is in an area with many trees, is near power lines or is in close proximity to neighbors. Any flying ash, coals, or sparks from a chimney or a neighboring residence or building that has caught fire, or a downed electrical wire, will not ignite a terracotta roof. Due to their density and shape, terracotta roof tiles provide a greater layer of insulation on top of your home than other types of roofing. They reflect the hot summer sun, rather than absorbing the heat as most types of shingles do, and help keep your home cooler in summer. In the winter, they provide an extra barrier to help trap rising heat, keeping your home warmer. 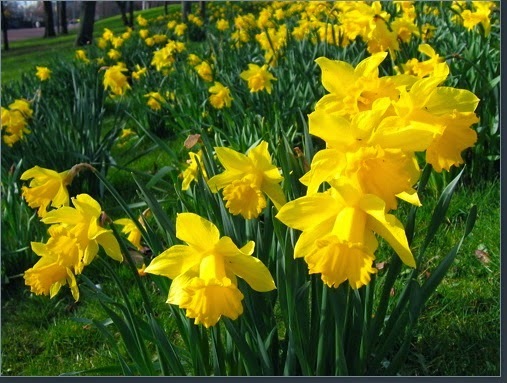 The result is lower cooling and heating costs, which can be significant depending on the climate of your area. On average, terracotta roofing lasts two to three times as long as traditional asphalt or wood shingle roofing. Such a tile roof could last up to 100 years but more commonly 50 to 60 years. Although the initial cost of a terracotta roof is more than that of an asphalt shingle roof, it may cost less in the end since replacement will not be necessary for nearly a lifetime or more. 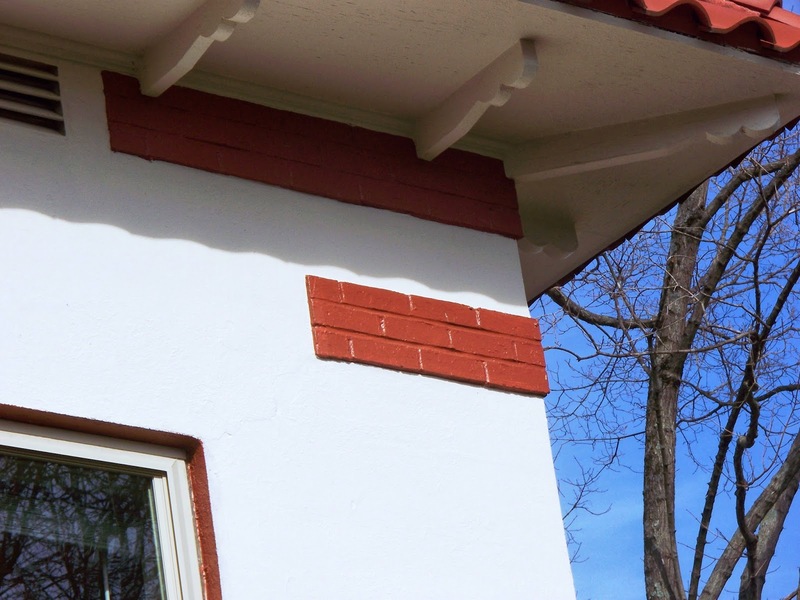 Unlike other roofing materials, insects or birds do not damage terracotta; it can withstand serious storms much better, and requires far fewer repairs and maintenance. 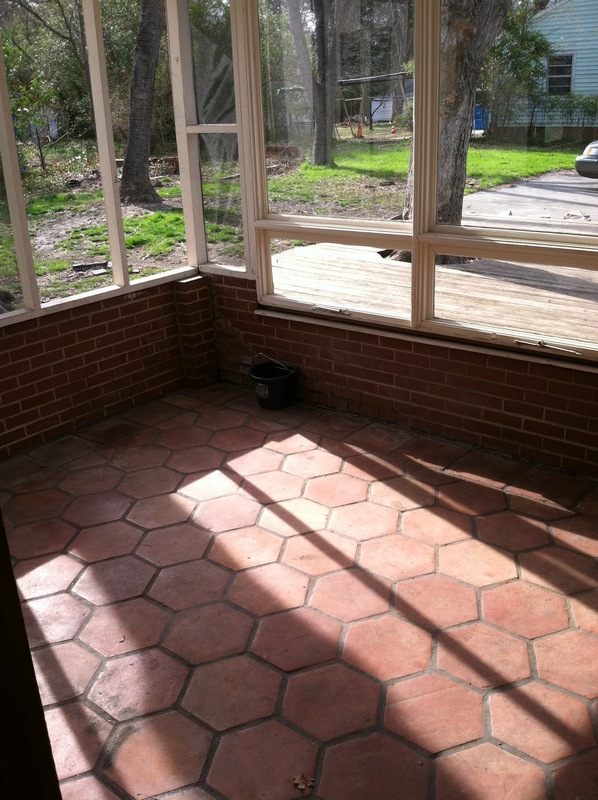 Terracotta tile performs well in high winds, hail, snow, dust storms ,and frost. You should regularly inspect a terracotta roof for damage, but the only maintenance required is replacement of broken tiles or cleaning by spraying with water if the home is located in an area prone to mold and mildew. Typically, tiles break only when struck with force, usually by a tree limb. 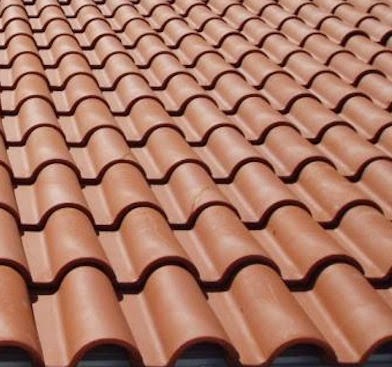 Terracotta roofing is one of the most environmentally friendly roofing materials available. They are made from clay, an abundant natural resource, using a process that has little ill effect on the environment, unlike production of asphalt shingles. In addition, because they last so long, they create far less waste due to replacement than other roofing materials. In fact, terracotta tiles are often recycled, avoiding the landfill altogether. 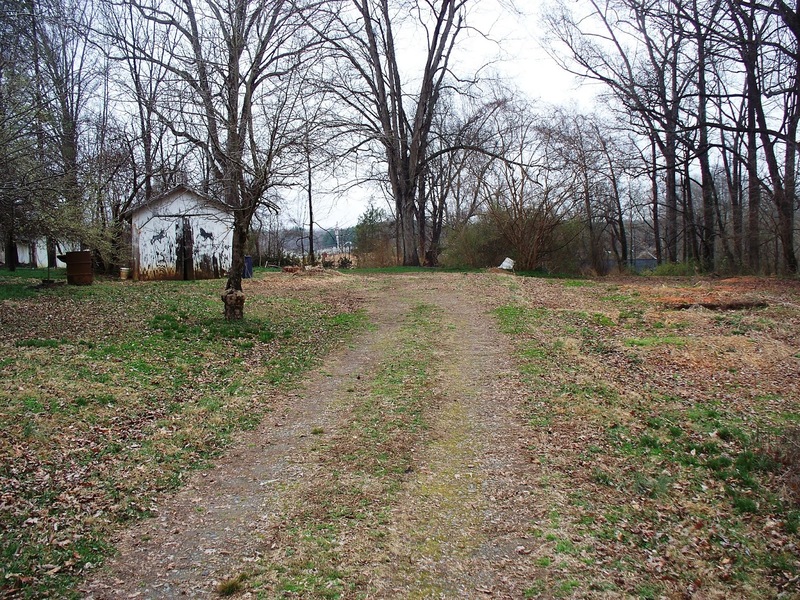 A large curved driveway takes you off the street on unto the property at 726 N. Fulton Street. You might park either in the large drive, or in the spacious 2-car portico, an extension of the home that also features that wonderful terracotta tile roof, one of the most eye-catching design elements of the house. 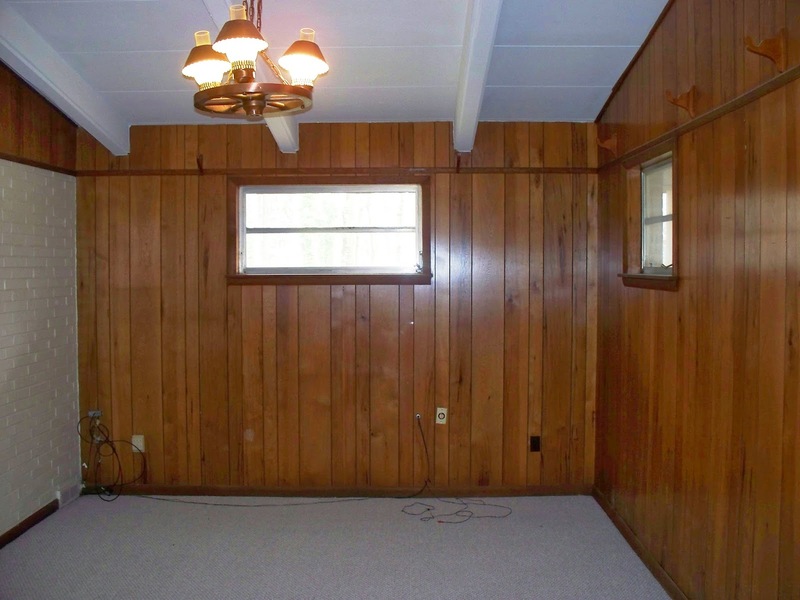 A wonderfully spacious wood-paneled 1st floor utility/laundry room between the kitchen and the screened back porch can double as an office or small den, and features a beautifully finished hardwood floor. And how nice not to have to go to the basement for laundry! The galley-style kitchen features beautiful black-granite tile countertops and back-splash, soft green stone tile flooring, and loads of cherry-finish cupboards. The dining room with hardwood floors and large windows features chair molding and ceiling crown molding. With windows on three sides, the sunlit literally streams into the 20’ living room with its original 1946 fireplace with marble hearth and surround, and original wood mantle piece. Hardwood floors gleam in this large living area. 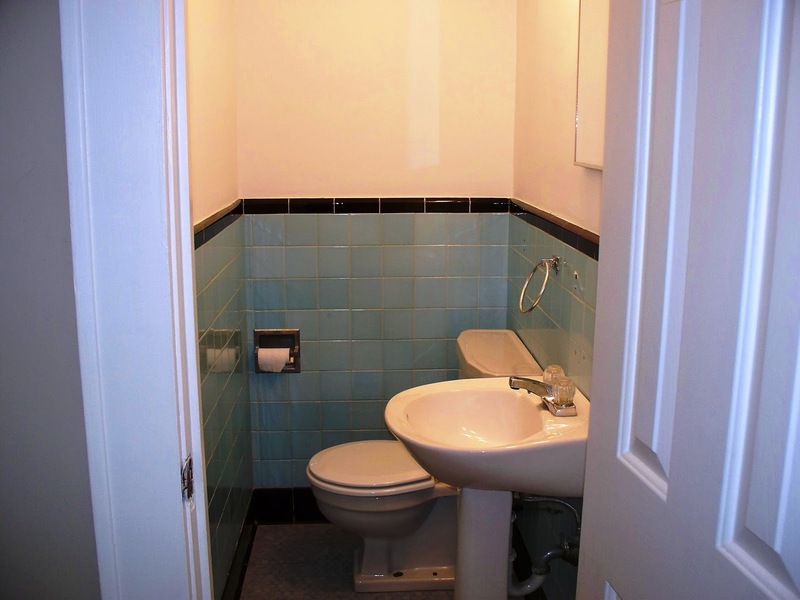 A tiny powder room with its original sky-blue ceramic tile is part of a larger bath on the main level. There is enough room in here to place some interesting bath furniture or a wardrobe! 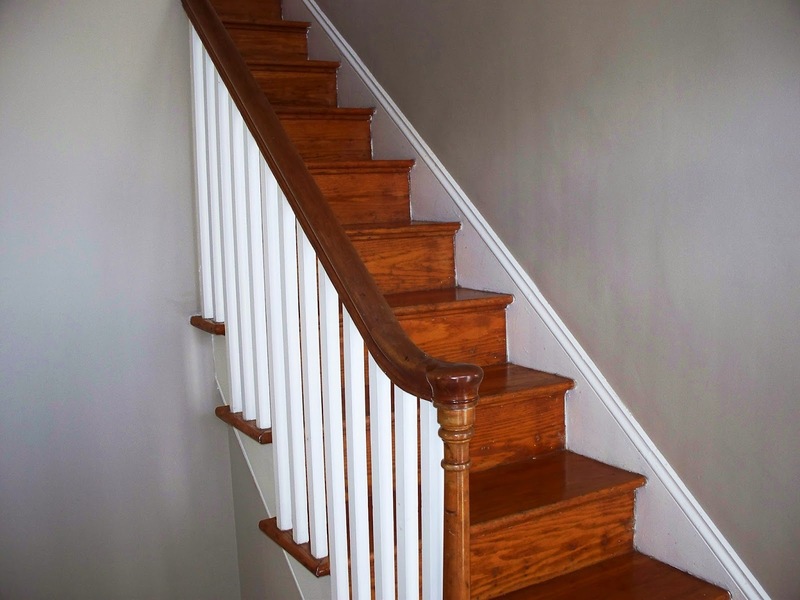 The center staircase to the second story features its original railings and spindles. The front door with geometric sidelights lets light stream through this main entry. There are 20 little windows on either side of the front door, which is covered by a terracotta roofed portico on the exterior. 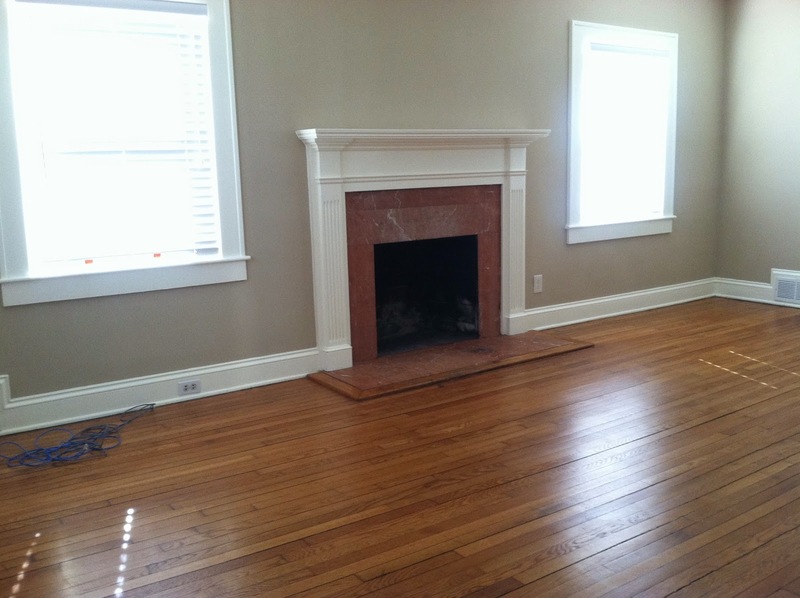 The second story rooms feature hardwood floors throughout. 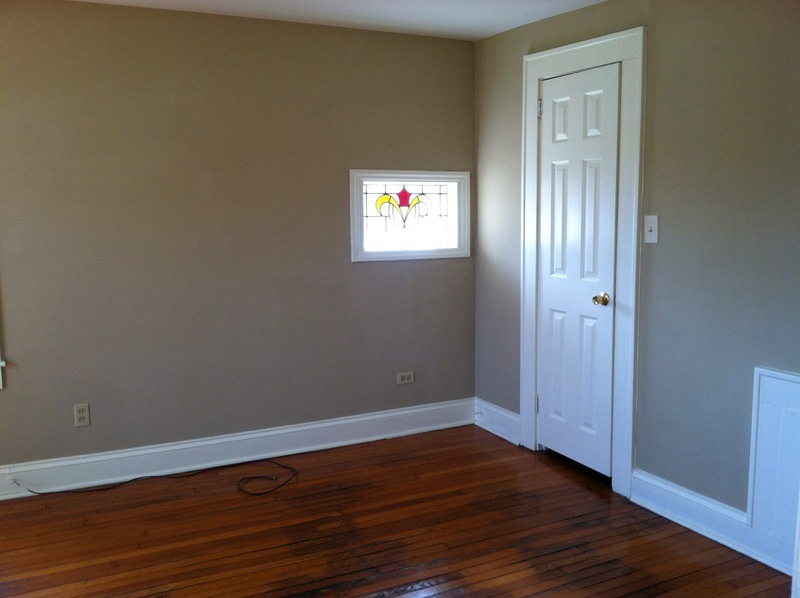 There is a large walk-in closet in the Master Bedroom with its stained glass window decor. The upstairs bath is all newly tiled with dramatic black and white ceramic tile work and a unique stone vanity. 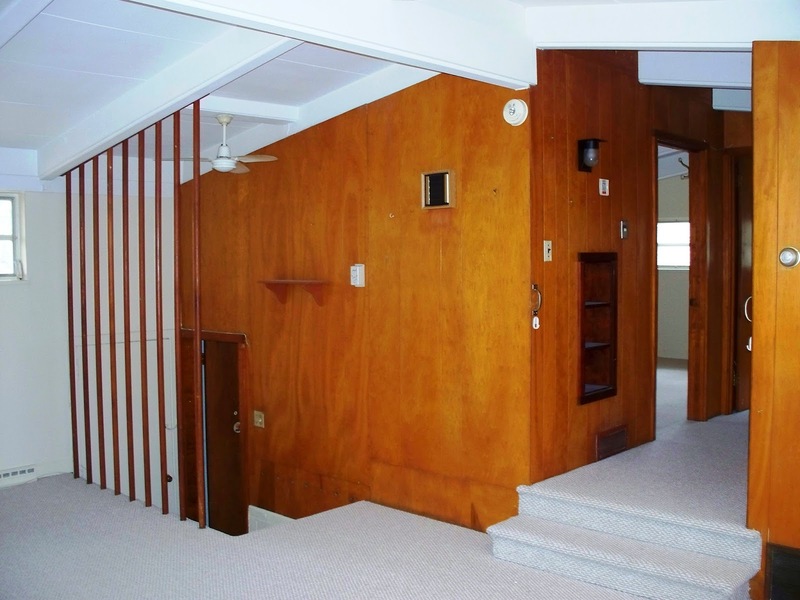 A linen closet at the top of the stairs is a nice touch. A favorite spot to sit on warm summer nights will be the screened in back porch overlooking the large 100’ x 145’ corner property with its exterior wood patio and canopy of mature shade trees. This beautiful Spanish Colonial Revival home at 726 N. Fulton is just one residential block from Salisbury’s City Park and Hurley Park in a neighborhood full of sidewalks for walking. The City Park Neighborhood association provides a communication channel for residents with City officials, but there are no homeowner fees. The neighborhood is close to downtown shops, restaurants, museums, and galleries. 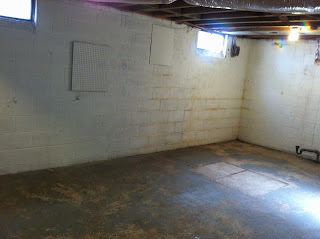 The house features a very large full basement that is clean and dry. The house has a new roof, new HVAC, new water heater, & new replacement windows. 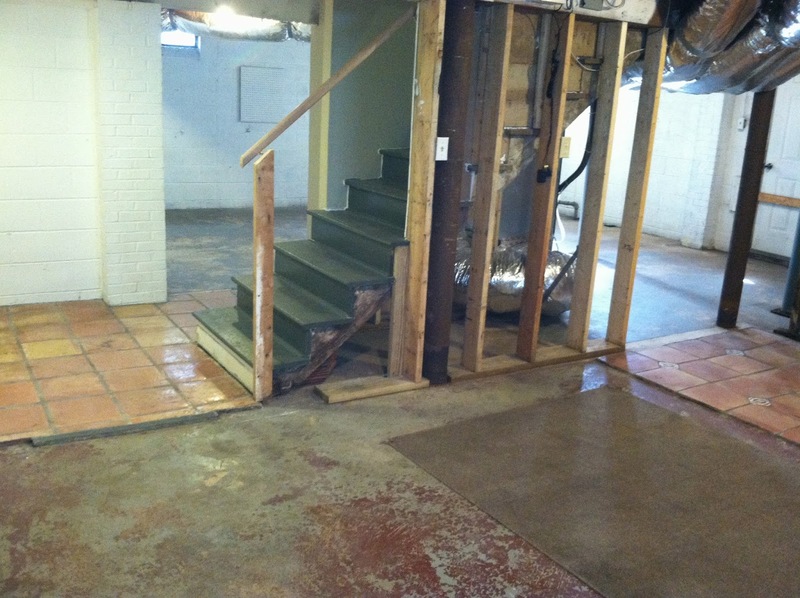 This house should live virtually maintenance free for years to come. 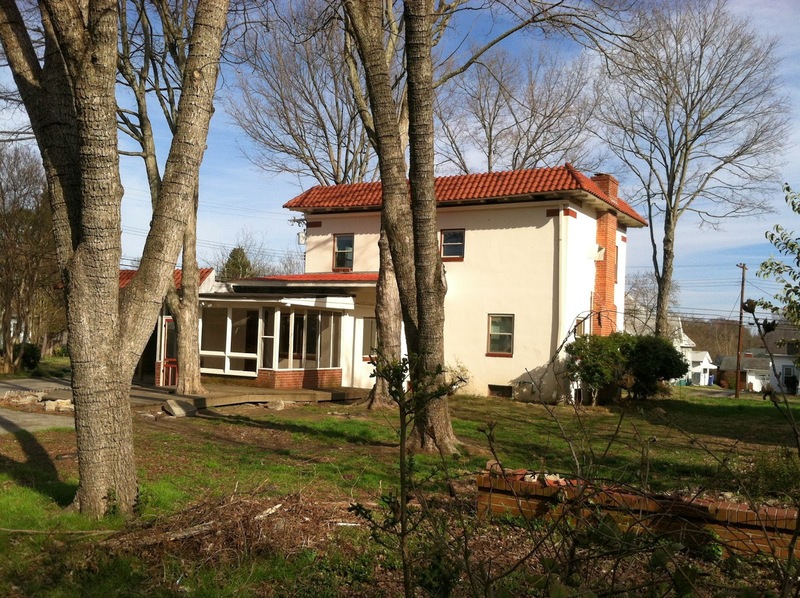 This 1946 Spanish Colonial home is unique to the Salisbury/Rowan County area…only a few of its kind exist here! 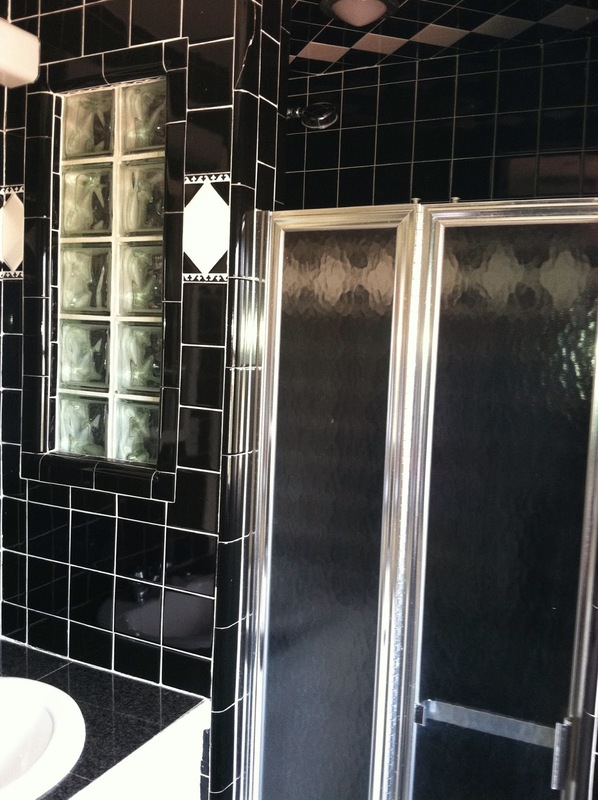 Your home, and at just $100,000, is a collector’s item! Let Greg Rapp show you the great features of this solid home! 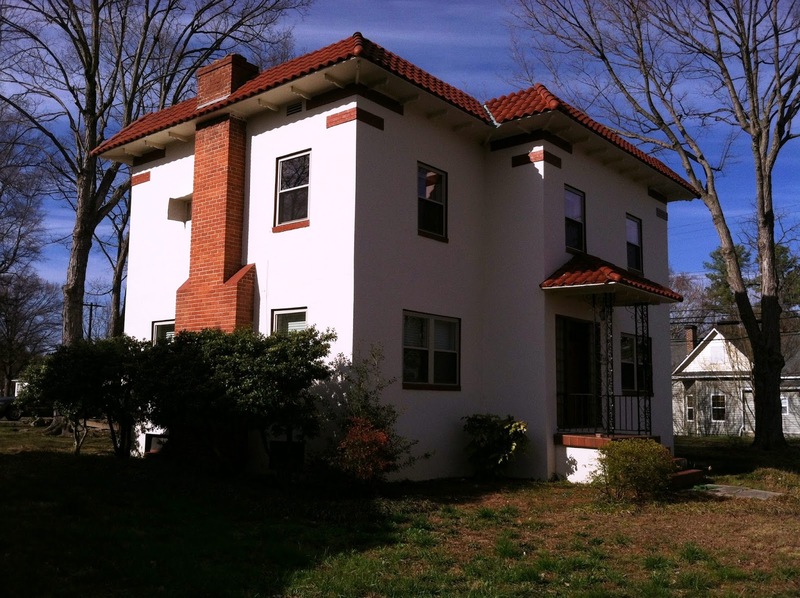 Call 704.213.6846 and we’ll set up an appointment for you to tour this wonderful stucco and terracotta home! 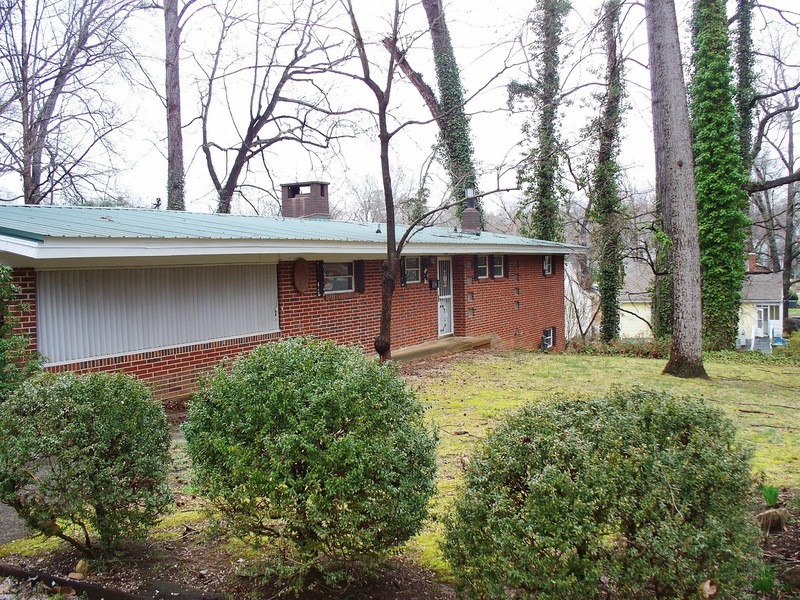 Mid-Century Modern Brick Home ~ Vaulted Ceilings & 1-Acre Yard ~ Just $85,000! 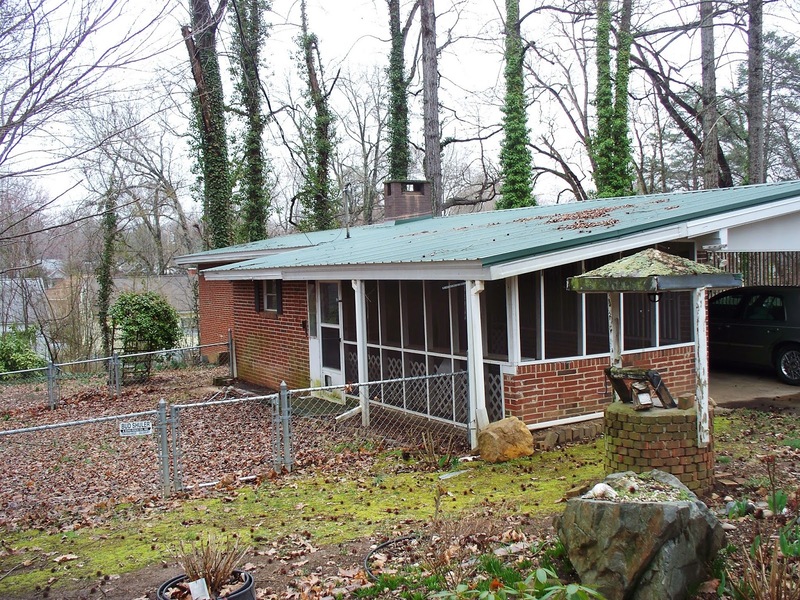 Update 9/30/2014: The price on 1124 Boyden Road has been reduced to $72,500! It's time to get your Retro on! Someone is really going to have fun with this home! If houses reflect the times they were designed, mid-century modern is the architecture of ideas, created by those who believed the forward-looking style could be a vehicle for social change to create a better society. Characterized by flat planes, large glass windows, and open space, these homes -- built from the mid 1930's to the mid-60s -- featured simplicity and an integration with nature, encouraging residents to explore the world in new ways. Large windows. Sliding-glass doors and other expansive panes of glass allow light to enter rooms from multiple angles. Changes in elevation. 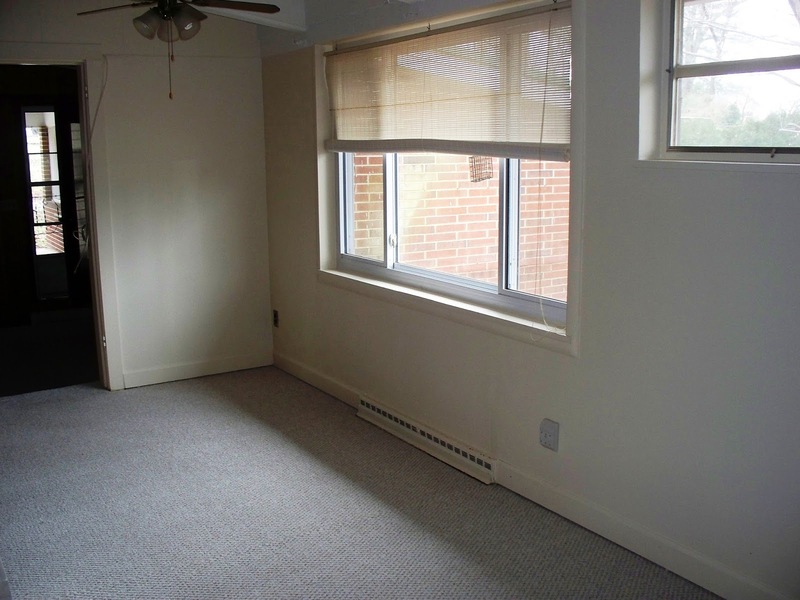 Small steps going up and down between rooms creates split-level spaces. 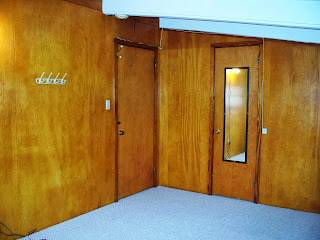 A mid-century modern might have partial walls, or cabinets of varying heights to create different depths in the space. Integration with nature. Rooms have multiple outdoor views, or multiple access points, encouraging an appreciation of healthy living. 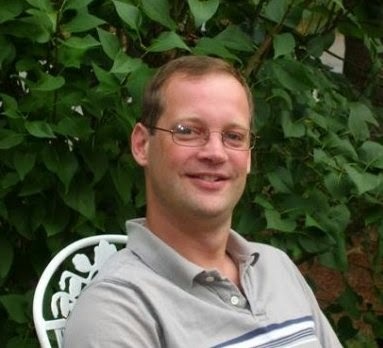 Realtor® Greg Rapp (704.213.6846) specializes in historic homes and homes with a history! 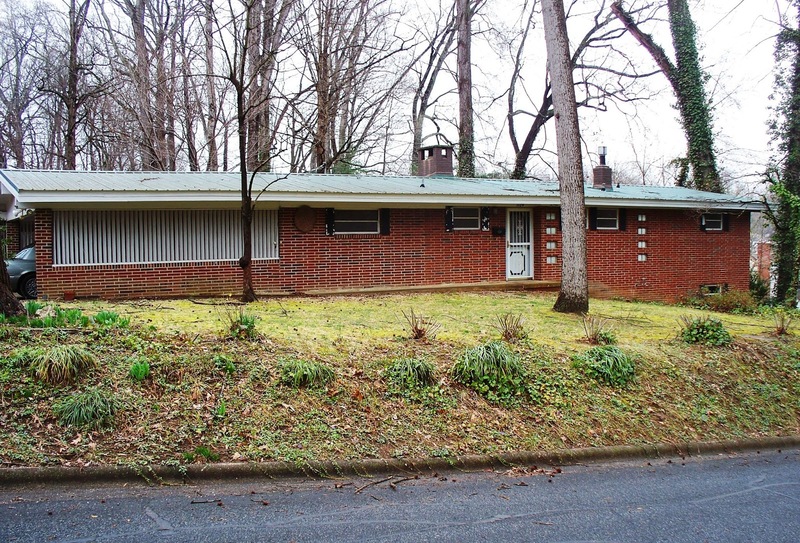 This low-slung brick home at 1124 Boyden Drive built at the edge of the Fulton Heights Neighborhood in Salisbury North Carolina in 1956 is a perfect specimen of a mid-century modern home. The mid-20th century (roughly from 1933 to 1965) saw a dramatic outpouring of creativity in architecture, graphic design, and industrial design. Furniture and buildings with clean, sweeping lines and surprising design elements came on the scene during this architectural phase. The book "Mid-Century Modern: Furniture of the 1950s" by Carla Greenberg cemented the term "mid-century modern" to refer to the style of furniture, art, and architecture popularized during this time period. "Retro-mania", brought on by shows like Mad Men and good, old-fashioned nostalgia, is driving a return to mid-century modern style, and this home has certainly got a unique style, perfect for that Retro enthusiast! Situated on an deep one-acre lot that right now is bursting with daffodils, this circa 1956 mid-century modern home at 1124 Boyden Drive boasts geometric windows, characteristic of the architectural style, louvers and dowel screening, vaulted and beamed ceilings, and multiple changes in elevation. Walking in through the carport brings you through the wood-paneled den with its vaulted ceiling and the freshly painted white brick wall that backs the kitchen. 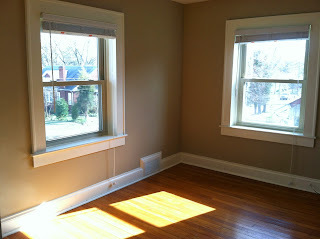 The changes in elevation start here as you step from this warm room into the main living areas. The large living room has a wonderful, geometric, center white-brick fireplace with a gas log system ~ certainly the focal point of the room! Brand new, soft oatmeal-colored wall-to-wall carpet in the main living area suits this style perfectly, softening the angular architectural design elements. We love the geometric windows flanking the front door, in keeping with the simple lines and organic forms that characterize this sleek style—which flourished from the 1930s to the 1960s, but is still popular today. 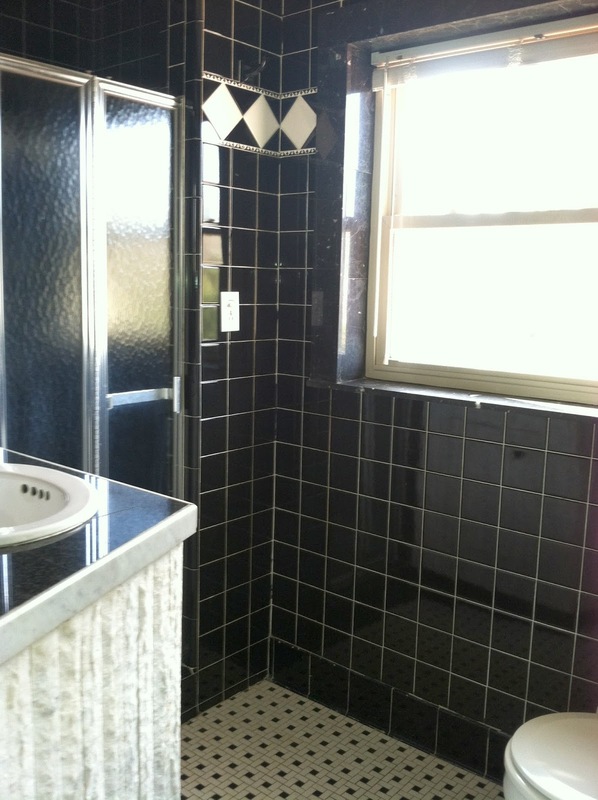 The main floor bath features these same Retro geometric windows, painted brick, and cool blue ceramic tilework. The small dining area’s triple-hung picture window looks out onto the deep back yard that includes a small fenced in area, and then expands out and back extensively, rich with mature plantings and even a grape arbor. 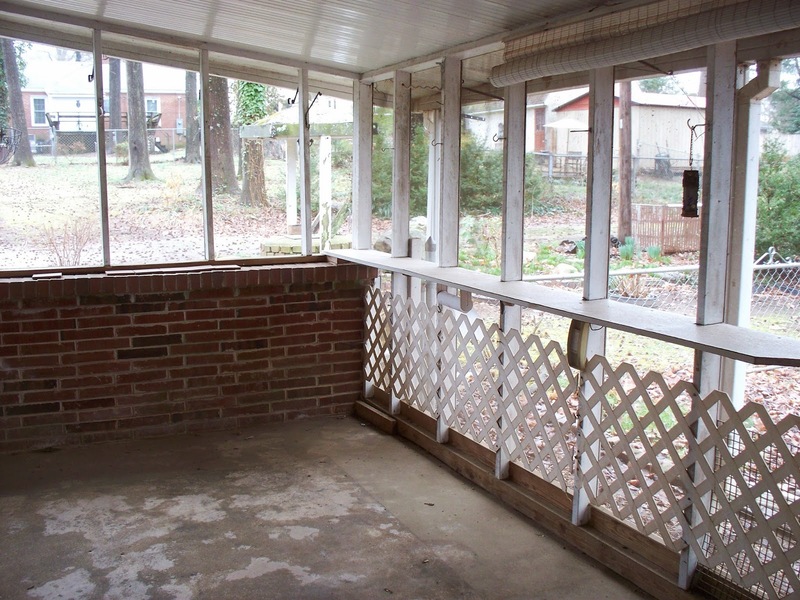 A nice screened-in back porch overlooks this stretch of private land. Up two steps to the master bedroom and second bedroom, with its walk-in closet and a combination of smooth walls & wood paneling. . . . or downstairs to the a large third basement bedroom with its small bath with stand-up shower ~ (this bathroom will need some updating to make it attractive). Eye-catching essentials included statement light fixtures, mirrors, and clocks in space-age shapes; and shag and flokati rugs. Cocktail hour reigned, and many homes had fully-stocked bar carts. Impeccable craftsmanship makes mid-century modern furniture timeless. 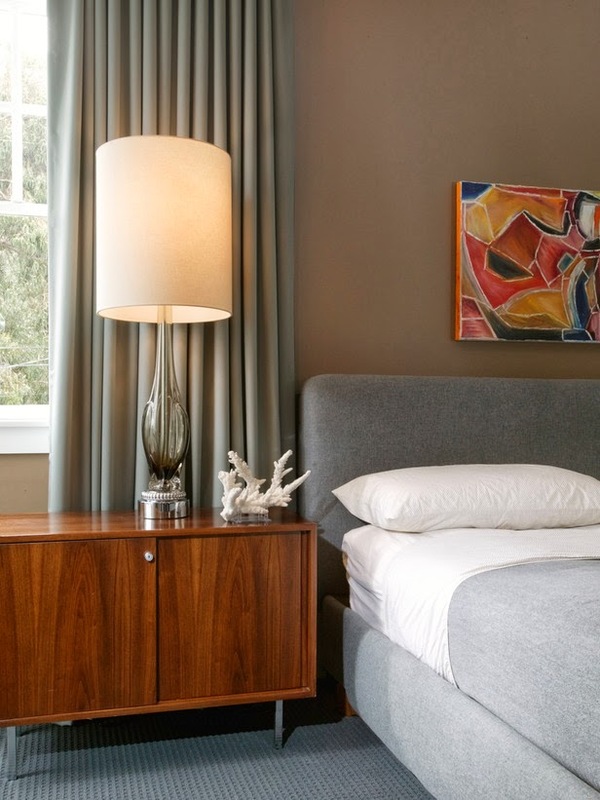 It is no wonder that today, mid-century modern furniture is enjoying resurgence as a popular choice for households across the country. 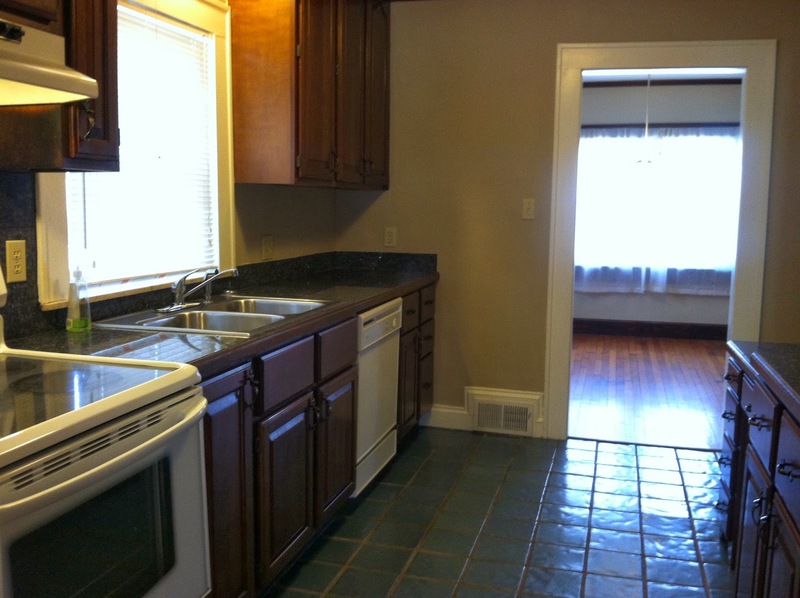 We won’t lie to you…the kitchen is probably going to need a little help. Despite its excellent pedigree, the house, like so many of its contemporaries, has suffered a bit over the years from a few unsympathetic renovations, its integrity lost in the shifting tides of taste. It is currently a galley style kitchen, but we think the original plan probably had a half-wall overlooking the living area. 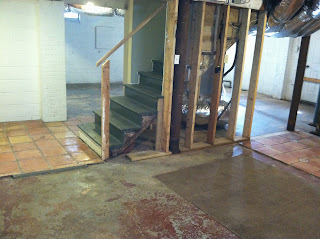 The laundry room is in dire need of a beautification project. Despite this “egregious stuff,” the place has a good heart, a good vibe, and the bones to make it work and bring it back to its retro glory. The home features a large two-car portico ~ stylized with louvers across the front of the home ~ an interesting design element. 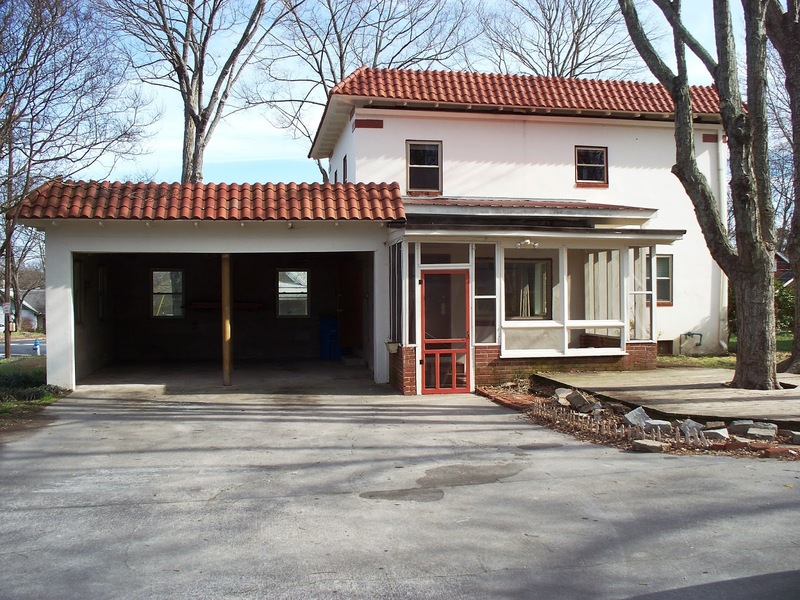 Another good-sized garage sits to the rear of the home. 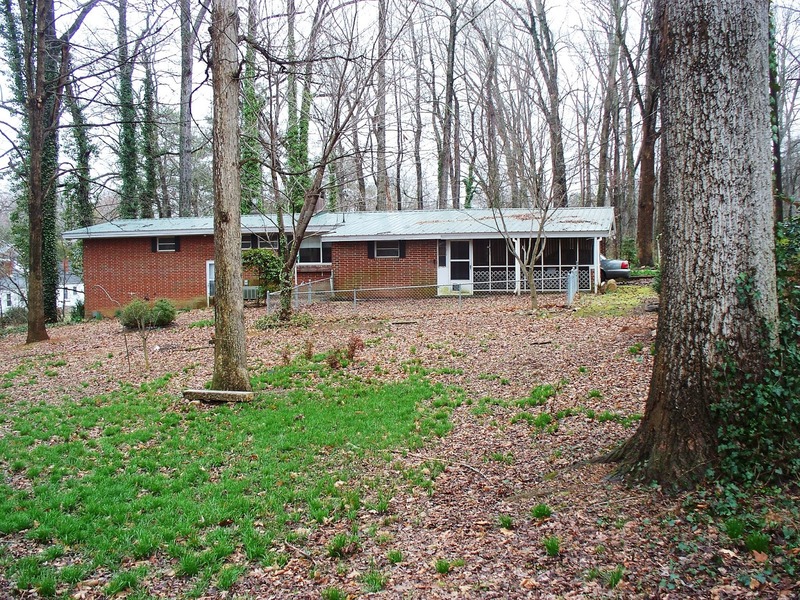 1124 Boyden is actually a 2-parcel piece of property, and this is what gives the owner the wonderful 1+ acre lot! 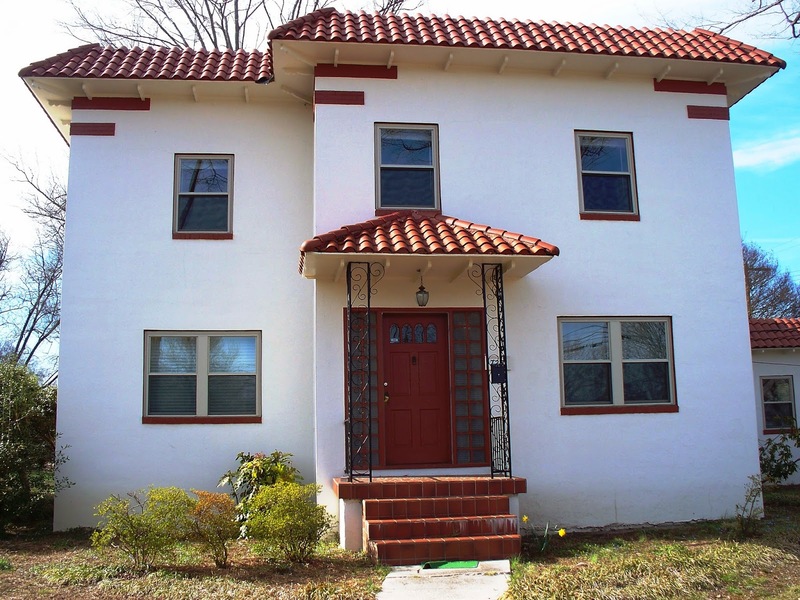 This all brick home has a new metal roof, and has been freshly repainted inside. It’s nice to see mid-century modernism being appreciated now, as we’re entering a period where houses from the 1960s are becoming eligible to be on the National Register of Historic Places. 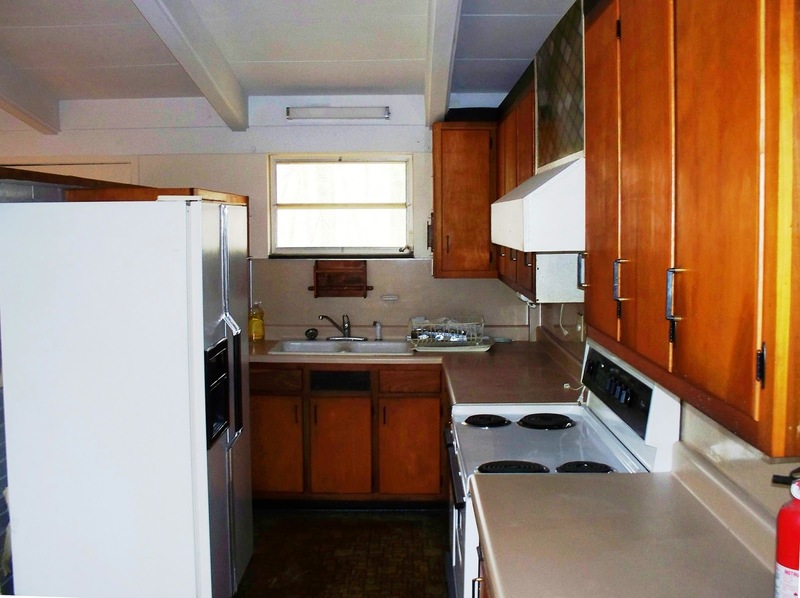 And this home is priced right, at $85,000, for the right buyer to make this place a stunning example of a mid-century modern showpiece with very little effort and have a great yard as an additional bonus! Would you like to have a look at this wonderful example of mid-century modern home living for yourself? Then contact Greg Rapp at 704.213.6846. 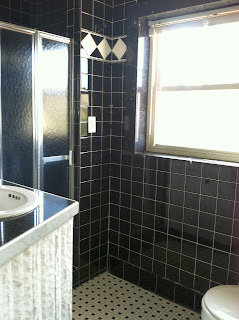 This house is move-in ready ~ and just in time for YOU to get YOUR Retro on!